This paper provides a summary of the structural architecture assessments conducted and a recommendation for an affordable high performance composite structural concept to use on the next generation heavy-lift launch vehicle, the Space Launch System (SLS). The Structural Concepts Element of the Advanced Composites Technology (ACT) project and its follow on the Lightweight Spacecraft Structures and Materials (LSSM) project was tasked with evaluating a number of composite construction technologies for specific Ares V components: the Payload Shroud, the Interstage, and the Core Stage Intertank. Team studies strived to address the structural challenges, risks and needs for each of these vehicle components. Leveraging off of this work, the subsequent Composites for Exploration (CoEx) effort is focused on providing a composite structural concept to support the Payload Fairing for SLS. 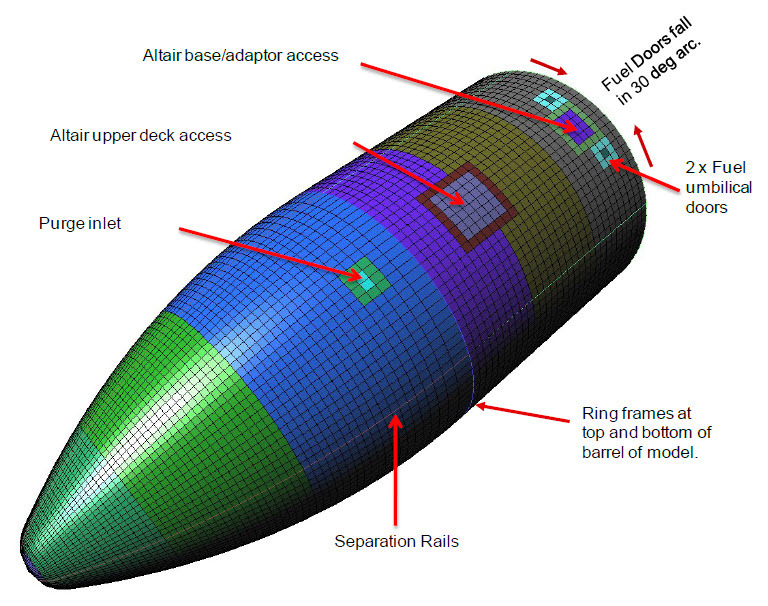 This paper documents the evaluation and down selection of composite construction technologies and evolution to the SLS Payload Fairing. Development of the evaluation criteria (also referred to as Figures of Merit or FOMs), their relative importance, and association to vehicle requirements are presented. A summary of the evaluation results, and a recommendation of the composite concept to baseline in the Composites for Exploration (CoEx) project is presented. The recommendation for the SLS Fairing is a Honeycomb Sandwich architecture based primarily on affordability and performance with two promising alternatives, Hat stiffened and Fiber Reinforced Foam (FRF) identified for eventual program block upgrade.